id This specifies the specific record requested. For example, if you are looking for contact number 5 in the Contacts content provider then URI would look like this content://contacts/people/5. 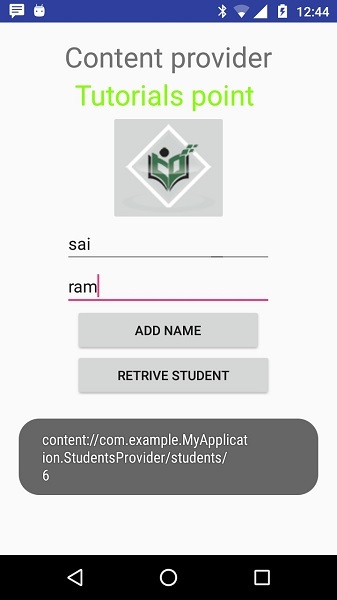 1 You will use Android StudioIDE to create an Android application and name it as My Application under a package com.example.My Application, with blank Activity. 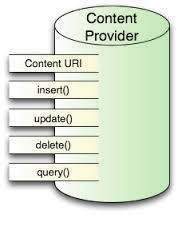 3 Create a new java file called StudentsProvider.java under the package com.example.My Application to define your actual provider and associated methods. Following is the content of the modified main activity file src/com.example.My Application/MainActivity.java. This file can include each of the fundamental life cycle methods. 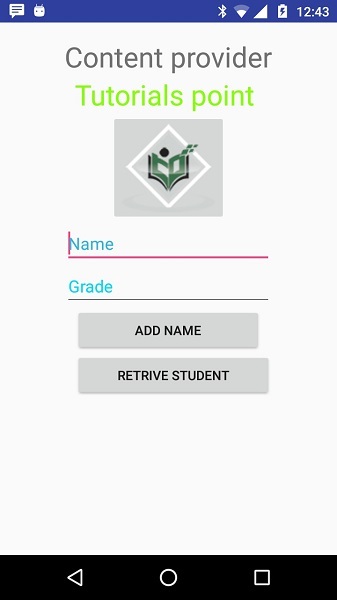 We have added two new methods onClickAddName() and onClickRetrieveStudents() to handle user interaction with the application.